A pocket knife has perhaps become one of the most vital tools to be used in our daily life. This is regardless of whether the user is a gardener, camper, weekend traveler, or a home maker. It is easy to conclude that these knives are multipurpose tools that is much portable and convenient to carry around, and that’s why you need to find the best pocket knife for you. Today, you have a variety of pocket knives to choose from. However, choosing the best pocket knife is only a matter of personal preference and opinion. The fact is that what seems to be the best according to one user is not always so for others. In fact, it can be a nightmare for other users, because that knife might not be able to fulfill the unique requirements of those customers. Therefore, it is best to choose a knife not according to what is best for others, but what best fulfills your requirements and preferences. That’s why we have section towards the end of this article featuring pocket knife reviews. Single Blade or Multi-blade Pocket Knife: Which One to Choose? When it comes to preferences, a Swiss Army pocket knife appeals to one who always uses different types of blades and tools and wishes to have them all in one tool. However, a simple pocket knife with a single blade appeals to those who need a specific blade for simple or heavy-duty cutting/slicing tasks. A multi-tool can be useful to even those who hardly use a knife on a daily basis. However, its blades are usually made up of cheap steel and that their manner of folding, at times, makes it difficult to take full benefit of the full length of the blade. Further, in most cases, accessing is a bit more gradual with both hands and that the handle does not offer an adjustable grip. If these reasons are what you find out to be true, you might decide to have a separate pocket knife along with a multi-tool model. 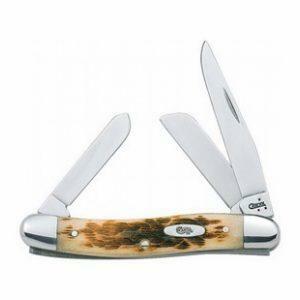 A larger single blade pocket knife is ideal for outdoor use, specifically for heavy duty work. If your tasks are diverse such as opening a box or slicing a pear, a multi-tool knife with multiple blades being two to three inches long is fine. As mentioned before, you need to know your requirements before buying a pocket knife. To find them out, here are two main factors to consider. The Way in Which You Will be Using the Knife: Here, you need to consider who often you will be using a pocket knife and at which places you will be using it. The idea to obtain here is that a homemaker will be using the knife for tasks that are different from those of a mechanic. Usually, the latter will perform heavy-duty ones more than the former. In that case, the mechanic will need a tougher blade. Similarly, you might use the knife daily at work, only on weekends, or on rare occasions. Even this will help you decide how durable the handle and blade should be. For example, if you will be using it out quite often, a blade and handle highly resistant to harsh weather elements and durable as well as grippy despite being soaked in water for hours is needed. Your Way of Carrying Knife: This is dependent on two factors: the knife’s length and how it goes into your pocket. Most modern pocket knives have a pocket clip due to which they remain vertical and move outwards from the pocket to ensure instant access. However, this tactical style will not be suitable for all users. For them, a classic model without clip is suitable. Such a knife is small in terms of diameter, but glides down in the pocket to remain horizontally against your thigh, which might be uncomfortable. Well, classic and tactical are two most common styles to consider. A classic style usually has an opening mechanism requiring both the hands to open a folded blade. While there is no blade lock for security when it is opened and that the handle is usually of plastic or wood, its timeless look still has an appeal. A tactical knife usually comes with one-handed opening mechanism, lock, clip, and a handle of metal, tough plastic, or composite materials. It gives more functionality. For choosing the best pocket knife as per the determined requirements, you now need to consider some common features and/or functionalities. Well, this factor is related to makeup and design and there are three main choices: Pen, jack, and multi-purpose. Pen: Is light and features a hinge along with two to three blades on both ends. Each blade added for a specific purpose. It is quite light in weight. Jack: Features a hinge at any of the ends along with two or more blades. It is a favorite of several outdoor enthusiasts. Multi-purpose: Features blades as well as some tools such as can openers, tweezers, and scissors. Well, here you have only two options: Folding and fixed. A knife with folding blade is more popular because it more comfortable and safer to keep in a pocket, although the fixed one comes with a sheath. Considering the length of open blade in case of folding and fixed knife is of utmost importance. This is because it determines how well your decided tasks will be done and how well it will get a legal acceptance. Yes! In many states, it is just illegal to carry a blade. However, there are regulations that allow carrying a knife with some specific blade length. A larger blade is considered anything above 4 inches and is required for heavy-duty and outdoor tasks. Such blades are legally prohibited from carrying in public places. Any blade between 3 and 4 inches is medium-sized, which is most flexible to handle detailed cuts and heavy uses. 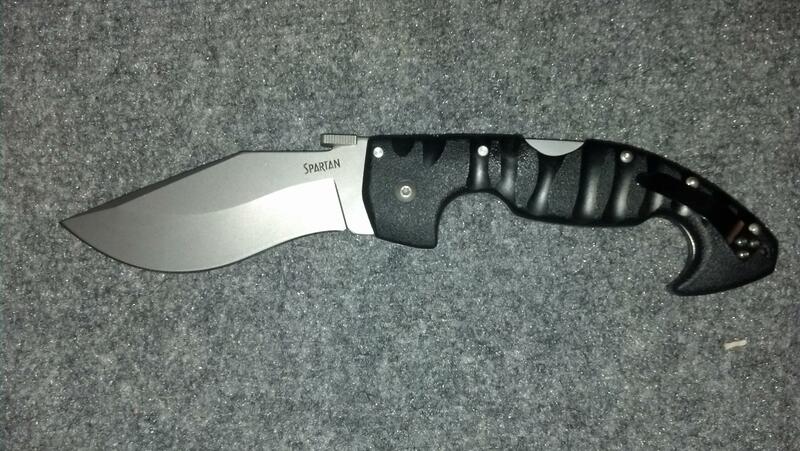 Any blade within three inches is a pure EDC tool, which is legally allowed to be carried. In short, do choose the blade length only after going through your local rules and regulations. Who would think that a blade’s point could make a blade ideal for specific use? Well, this is a fact. Here are the different types of points to consider. Normal: Features a dull and straight rear allowing pushing behind the sharp edge for more pressure. It is ideal for a folding knife for chopping, shaving, and cutting. Clip: Features a cupped edge and a sharp blade with fine end, which is ideally designed for daily use. Nevertheless, the tip is fragile due to which too much force can cause damage. It is much as the drop point and reflects a long belly area and a lowered tip for slicing and piercing. Drop: Features both the sides as curved, but one being flat and other being sharp. It is ideal for utility knives and EDC knives. The point is lowered to ensure additional tip strength and control. Tanto: Is a Japanese point originally made for piercing armor. Today, it is preferable for rescue operations and piercing. The point is thick enough to take in the impact. 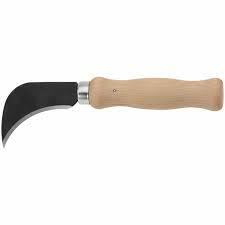 Hawkbill: Is similar to the hawk’s bill and is handy when other blades fail. It is pleasing to those who wish to make only a collection of knives for display. Pen: Is similar to drop point, but is simpler to control due to smaller in size. It is ideal for small jobs. Trailing: Resides above the spine to give an upward cutting mechanism as well as a large belly, which is ideal for slicing and slashing. Spear: Features symmetrical design and two similar edges to look and work like a spear. Sheepsfoot: Features a rounded, dull, and straight cutting edge taking away the risk of accidental piercing. It is ideal for cutting during emergencies and around inflatable stuff. Saw: Features toothed edge that cuts in back-and-forth motion, which is ideal for hard material like wood. The curved tip alleviates the risk of piercing while using it in tight sections. Plain/Smooth: Is ideal for cleaner and more precise push cuts like peeling, better control, and easier sharpening. Fully Serrated: Is ideal for pull cuts like cutting ropes and slicing breads. However, it is hard to sharpen. Partially Serrated: Is ideal for pull and push cuts, but is difficult to sharpen. Usually, serrated edges have saw-like edges and give unrefined cuts, but they cut even if the straight blades lose their edge. 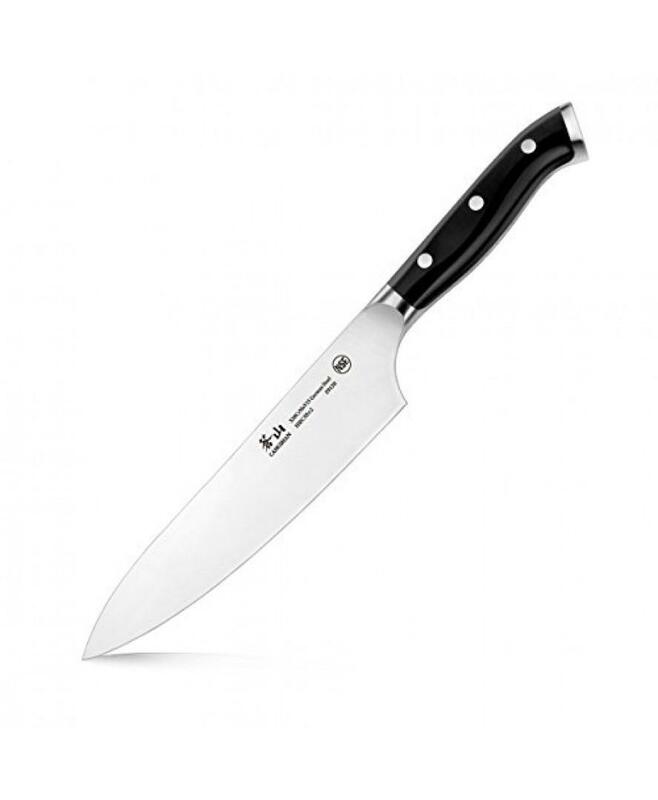 Flat: Is ideal for kitchen usage, as it is reliable for slicing and chopping. Hollow: Gives a very thin edge ideal for slicing. Convex: Is contrasting to hollow grind. It is extremely strong and is used for tasks demanding much pressure. Chisel: Grounds on a single side to contribute to extreme sharpness, but is inaccurate while slicing due to its curving ability. Sabre: Features an ultra strong thick edge superb for chopping. 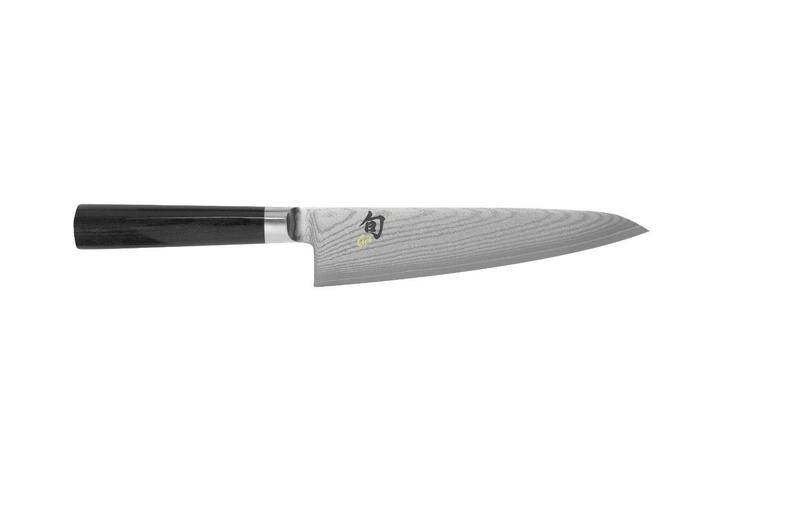 High-carbon Steel: Is easy to sharpen and holds a superb edge. It is harder if the content of carbon is more. However, this material is a bit brittle and is subject to rust and discoloration by reacting to acids and alkalis but that does not affect its performance. Stainless Steel: Comes with all pros of high carbon steel and removes its limitation of discoloration. It also holds the edge longer due to extreme hardness. However, it takes effort to sharpen it. Ceramic: Is hard and light, but is stronger, resistant to alkaline or acidic reactions, and more fragile than steel. It also retains the edge longer than steel. It is easy to create thinner blades that ensure easier cutting and slicing, but not chopping because of brittleness. Titanium: Is durable, light, and retains its edge longer than steel due to which it is preferable for all-purpose knives. It is also easy to sharpen. 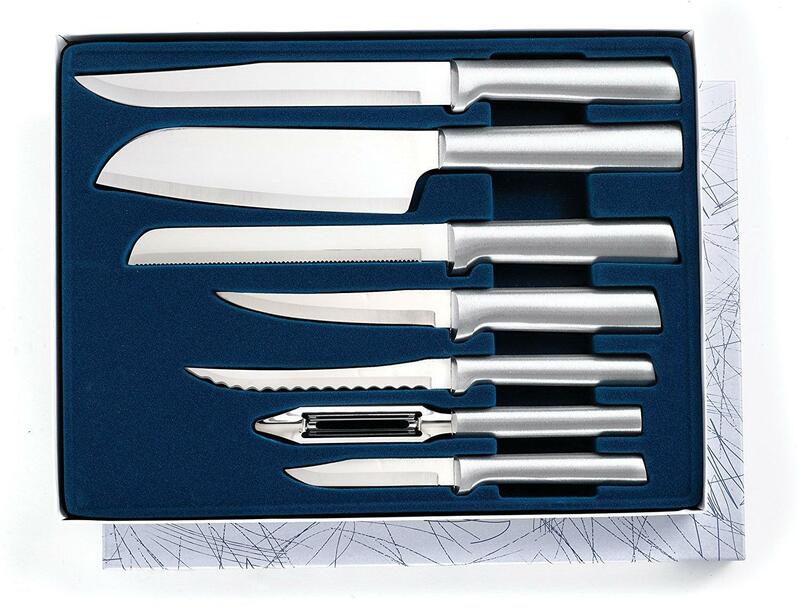 However, the titanium-coated knives or titanium edges are a bit inferior to purely titanium or titanium alloy knives. The former has a shorter life span. Of all, stainless steel is recognized as the blade’s heart. However, this does not indicate that it is the only factor in ascertaining the knife’s performance, as other factors such as blade shape also significantly contribute to it. Just choosing a steel blade does not suffice for a consistent and durable performance. Rather, you also need to check out the steel quality, which usually tends to differ from one pocket knife to another. Taking into account the most modern models, stainless steel as an alloy having at least 11% chromium is widely used in making them. Entry-level: Are of good quality with resistance to rust. Unlike the intermediate and higher grades, these steel materials are softer and demand more often sharpening for retaining the best performance. However, the good news is that they retain their edge sufficiently. These materials are manufactured in Asia. Examples include 7CR13MOV, 440A, 420HC, 8Cr13MoV, 8Cr17, and 12C27. Intermediate: Are of better quality and have more chromium due to which they are costlier than the entry-level ones. Maintenance is also less due to greater ability to hold the sharp edge. It is also easier to sharpen such blades with different suitable methods. Pocket knives made using these steel materials are ideal for daily use, as they unite performance and value. Examples include 8CR13MOV, 440C, AUS6, and AUS8. Higher-end: Are of best quality and are usually made in Japan or United States. They contain highest amount of chromium and perhaps are the costliest ones. These materials also have extra ingredients namely vanadium and offer more sharpness and retention apart from improved resistance to rust. Consider such steel for harder uses than those of intermediate ones. Examples include VG-10, S30V, K390, M390, Shirogami, and CPM 154. Consider the use our purpose of the pocket knife. Suppose you wish to cut a rope that is abrasive, a more resistance to wear and tear is essential. Take into account the thickness of blade. If the blade in thin, some strength will be compromised but this can be covered by choosing the right steel type. Look for edge’s grind and angles. Technically, a few alloys work more superiorly at some angles. Find out the type of environment in which you will be using the knife. If it is aggressive or humid, you need stain- or corrosion-resistant steel. However, if this property is not a concern, you have just increased the catalog by welcoming more alloys for selection. Check out the level of maintenance. Just keep in mind that a nicely sharpened blade constructed using steel of low quality is bound to outperform the best steel that is not well maintained. This is measured by a Rockwell machine that pushes a small penetrator into a metallic surface. The extent or depth of penetration is associated with the Rockwell hardness scale of A, B, or C. The less the penetration, the harder is the steel and greater is the scale. This rating for blade steels is on the C scale range of 55 to 60 (Rc). Stainless steel bears an industry designated number like 420 indicating the amount of element used and is followed by letters like HC or CM. These characters disclose the used alloys. For example, 154CM is a high-carbon stainless steel having high amount of alloy – 1% carbon, 0.5% manganese, 0.4% molybdenum, and 14.0% chromium (CM). Stamped: The blade is stamped out of flat metal supply and does not pass via several steps that forging embraces. As a result, it is lighter, but generally not well-balanced. Due to lack of dense metal, these blades do not retain their edge as well as forged ones. Forged: Is of high quality and is determined by a bolster between the blade and handle. However, a forged knife does not necessarily have a bolster. It is better balanced and heavier. It is also easier to retain sharpness. With some good care, forged blades tend to last for many years. Manual Open: You unfold the blade with single or both hands. A fingernail is needed for two-hand opening mechanism, while a single-hand opening needs a thumb via a stud. Automatic Open: You just need to press a button, but is costlier and not legally allowed in several areas. Assisted Open: Employs the best of both the above options with a thumb making a start and a spring positioning the blade securely. Such knives might also be legally prohibited. Thumb Stud: Is a popular method featuring a small raised tube on the blade to which some pressure applied with the thumb opens the knife. It has many versions such as angled studs and thumb plates. There are also plates working as the wave but it demands for more attention due to which it is not admired. Thumb Hole: Is simple to use and needs less attention than thumb stud. The blade has a hole that you can easily push with the thumb for opening the blade. In some knives, an oval replaces the hole. Spyderco is a famous brand offering this type of opener. Flipper: Is the most modern way of opening the blade with the help of a small tab. Just some pressure on the tab lifts it up over a ball bearing in the blade. It is very quick and simple method to consider but the limitation is that it is usable with only a handful of locks. Further, the bearing should be organized well or else the mechanism fails to work. Kershaw is admired for its flipper models. Wave: Is in the form of a hook on spine, which hauls the edge while pulling the knife from the handbag or pocket. While it is really speedy, you need some practice to experience perfect opening every time you open it. This method is designed especially for tactical tasks. Kershaw knives have this kind of opener. Each of these above methods has its own pros and cons. However, of all, thumb hole and flipper simply win the race due to greater convenience for everyday usage. In many areas, it is unlawful to have locking blade. Thus, select a locking system only if your local rules and regulations allow. If allowed, it is essential to consider a lock for safety purpose. Lockback: Is perhaps the most famous mechanism. It features a notch down the spine on which a thumb push is required. Both the hands need to be involved in it. When opened, the blade is rightly locked for more stability as well as strength. Frame-lock: Is for those who prefer safe, single handed locking. It features a side of the frame sliding beneath the straight blade to lock it. Liner-lock: Is much economical than frame-lock and only a liner’s side does the task of locking without affecting the rest of the handle. It is highly secure. Slip Joint: Holds the blade via spring instead of locking the blade. The spring folds the blade when some pressure is applied. Although there are many finish options, each finish has its own quality such as rust resistance, aesthetically appealing, and friction reduction. Black-coated: Is dark matte finish that increases the resistance power to corrosion. Teflon: Is polished and helps in making better cuts due to decreased friction. Black Electroplating: Is non-reflective and alleviates reflectivity of steel. Satin: Is lustrous and is used purely for cosmetic purpose. Wood: Is known for ideal grip but needs proper regular care. You cannot clean it in water. For that, rubbing with oil is essential. Plastic: Is not reliable as it is weak and not grippy although affordable. However, plastic-impregnated wood is a reliable alternative that needs less maintenance and yet lasts longer. Aluminium: Is usually coated with a defensive layer and is light in weight. The material is commonly seen in modern or newer pocket knives. Consider this material for usage in harsh weather, as its grip is superb. Celluloid: Is a kind of synthetic plastic, which is known to form any rainbow color. Produced using cellulose nitrate, celluloid is also capable to mold into most natural color such as pear, wood, stag, ivory, amber, tortoise shell, and horn. G-10: Is unbelievably robust and resistant to moisture. It is very durable, strong, and yet a lightweight material made of fiberglass. This fiberglass is drenched in resin and compressed well. G-10 is also highly resistant to water as well as ensures proper handle in stormy or rainy weather. This is perhaps why this synthetic material is preferred for survival as well as tactical knives. While the common color is black, the material is capable of reflecting other shades too. Micarta: Is admired for its high level of toughness but it is incapable of overcoming G10. It is an artificial composite made using phenolic resin and cloth or paper and is admired in the plastic industry. For knife handles, canvas micarta is commonly used. It is available in tan or yellow but it becomes brown or red upon ageing. Kraton: Is a thermoplastic and is much analogous to Zytel. However, it is quite soft as well as flexible due to which it is utilized as an insert or as a wrapped layer around the tang of a knife. You can expect a really good grip along with great security while using the knife. Rubber: Is much preferred for pocket knife handles. A rubber handle has a very soft feel and texture. Just as Kraton, rubber is used as an insert although you can wrap it around to have full handle draped in it. You are ensured of good grip but the material is not that durable as other options in the synthetic category. Zytel: Is basically an indestructible thermoplastic that is highly defiant to abrasion as well as shocks and impact. It goes without saying that it is durable too. Despite having a bit texture, Zytel is capable of giving you a better grip. Above all, it is affordable. All these characteristics make Zytel an admirable material for handle. Delrin: Is another reliable thermoplastic that has a heavy and dense feel but is highly smooth. As compared to a few other synthetic materials, this one is softer. Well, this is the reason why this material is subject to sporadic scratches and scuffs. Still, it is surprising that Delrin is quite durable synthetic material to choose. Mother of Pearl: Is composed of mollusks and contributes to the pearls’ outer layer. It has a white shimmering look as well as is a lasting material used in premium models. Stainless Steel: Is not only meant for the blades of pocket knives. 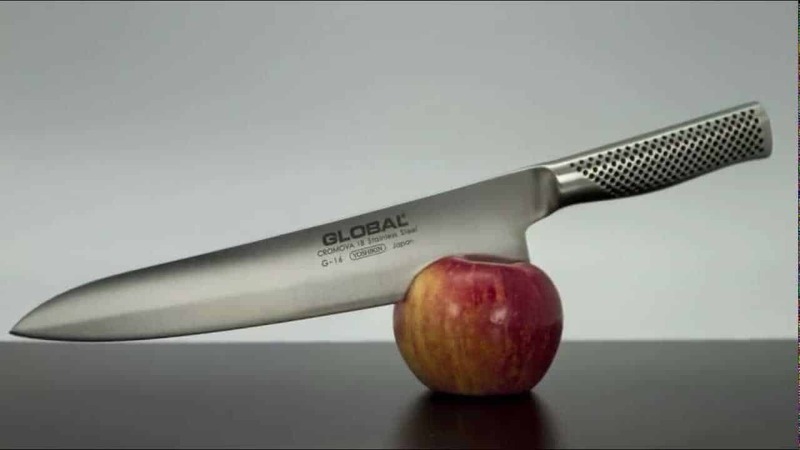 Surprisingly, even knife handles are designed using stainless steel, which also offers some common benefits as that of stainless steel blades. You can expect high durability and great resistance to corrosion from this kind of steel that is somewhat heavier. However, this steel is not that capable of withstanding too much tension, unlike other metals such as titanium. Titanium: Is highly resistant to corrosion, light, and highly durable. However, it is costlier than most metals and is usually used in newer models of pocket knives. The material is highly admired for its strength and performance but is often believed to be impersonal. Features Sandvik 14C28N steel for corrosion resistance, 3-3/8-inch blade that is smooth or serrated, assisted opening system, and anodized aluminium handle for grip even in wet conditions. This one is perfect for daily or extreme situations. Features 3.75-inch clip point blade composed of 420HC steel, crescent tip for detail work, wood handle with bolsters of brass, a lock back design, and genuine leather sheath. Features a thumb-stud opener operated by even a left-handed user, 3.45-inch long blade resistant to corrosion and ensuring good toughness via its 154CM stainless steel, hollow ground and sheepsfoot design, and AXIS lock mechanism. There is also a hole opener! Features 3.6-inch blade made up of M390 steel, drop point, satin finish, assisted opening, and thumb studs operated even by left-handed users. The handle is made up of G10, aluminium material. The knife is designed for daily use. Features surgical steel blades that shall never discolor or rust even in an extreme situation and bone handle for good grip. There are three blades namely, the clip, spey, and sheepsfoot, and spey. With everything explained and revealed in this guide, you really cannot go wrong in getting the best pocket knife. Just remember to consider your requirements and then choose a camping, EDC, or self defense pocket knife.